Imagine living with a haircut for 15-years? Talk about pressure to pick the most flattering style that will continue to be flattering over time. 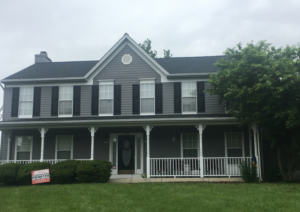 Your home’s exterior is a huge investment and you want to get it right. 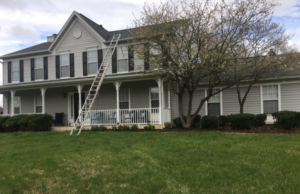 We’ve come up with a few tips to help guide you through exterior makeover, whether you’re just replacing your roof or completely redoing your roof, siding and shutters. The internet can sometimes add more confusion than clarity but if you stick to a few specific sites rather than a generic Google search, you’ll have more luck. Check out a few of our favorites…. We commonly tell customers to drive around their own neighborhood or a neighborhood in the style they like to gather inspiration. If you have a few colors you like, ask your contractor for past homes they’ve done in that color in your area. You can see the color and materials in full scale and in multiple lights which are conditions hard to replicate online or in the showroom, making you more confident in your decision. Take note of the manufacturers that keep appearing in your research. Quality materials matter as much as aesthetic. Ask your contractor which products they prefer and why… There is often a good reason and some products may look nice but won’t hold up after a few years of normal wear and tear. 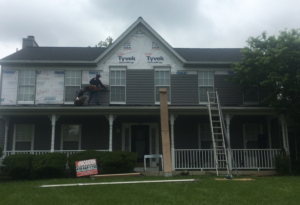 If you have questions about your exterior remodeling, whether you are paying out-of-pocket or through insurance, contact us or give us a call! Modern Remodeling is happy to assist you!